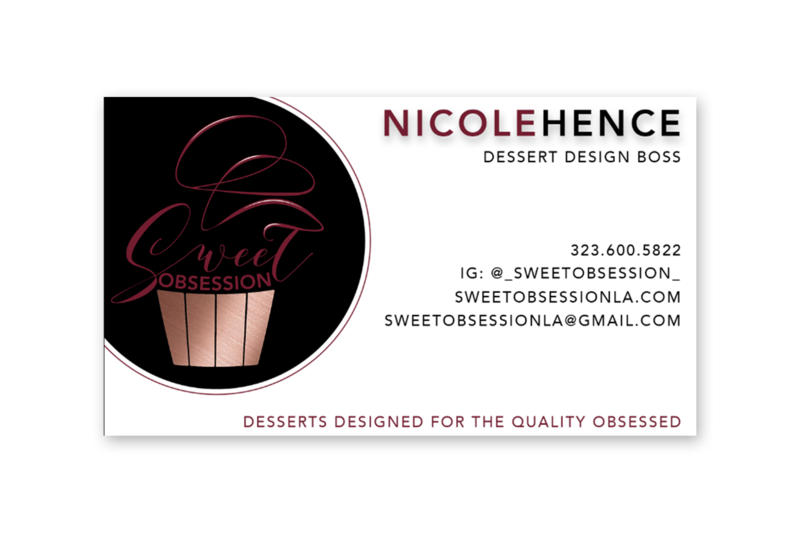 Sweet Obsession is a home based bakery specializing in custom desserts. 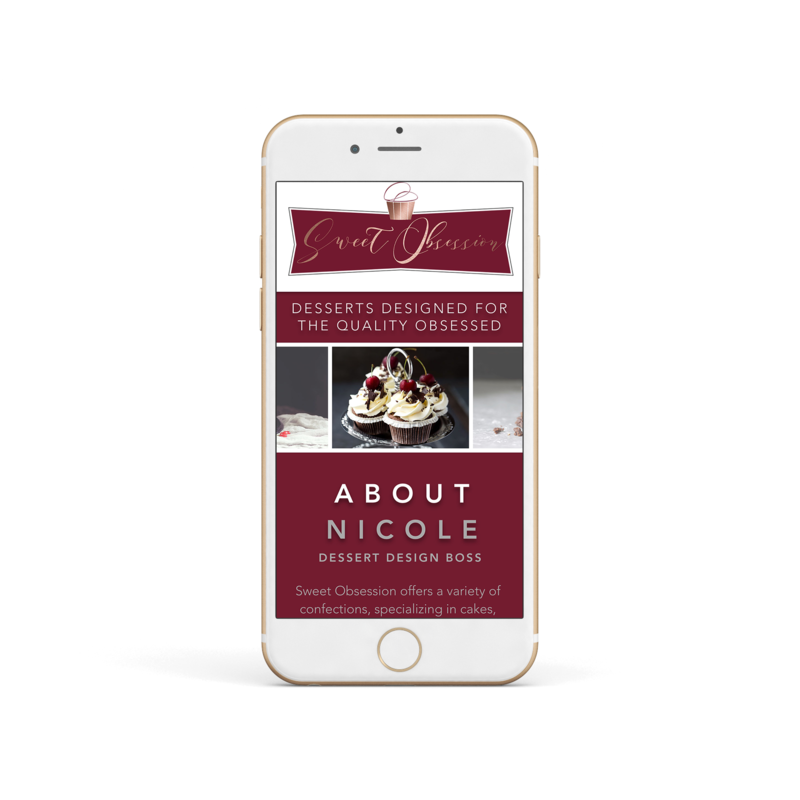 Nicole, the owner, combines her passion for baking with her formal training in design to create desserts that are just as delicious to eat as they are beautiful to admire. After being in business since 2015, Nicole has decided to streamline her offerings in order to focus more on bespoke cakes and other custom orders that allow her to truly display her creativity and attention to detail. 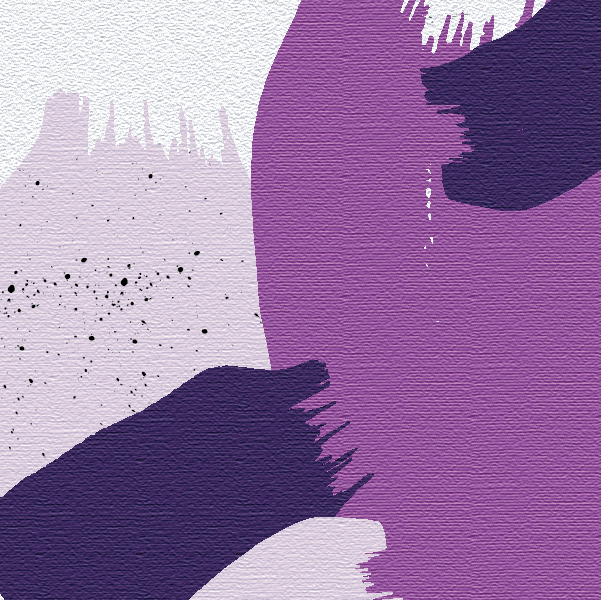 As such, she was seeking a full rebrand to reflect appropriately reflect her niche. 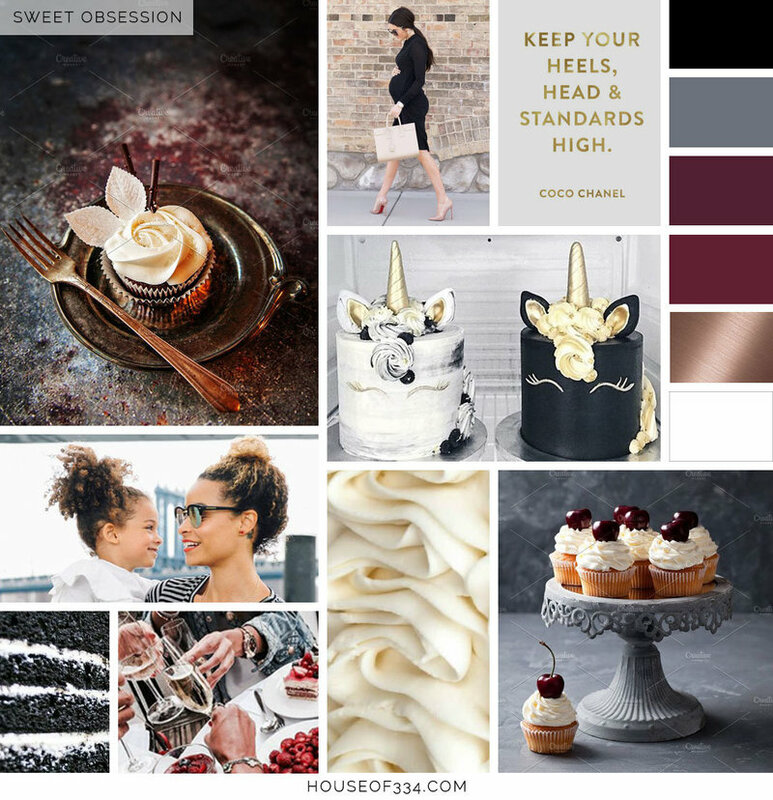 We started by creating a mood board to set the foundation of her rebrand based on images that conveyed her product offering, ideal client, and her business name. Sweet Obsession immediately brought to mind the colors of deep cherry reds, decadent dark chocolate and velvety white icing. 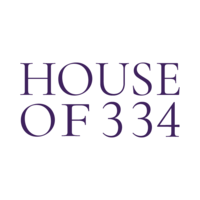 Using this upscale color palette, we then designed logos, business cards and a website that truly brought this vision to life.